Farrier’s signature butterfly key joinery and thick, wavy edges make it a bold statement in any room. 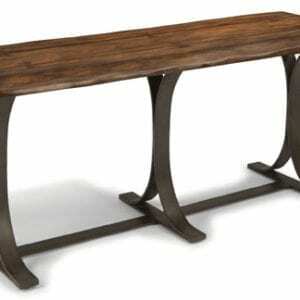 Solid log-cut acacia tops feature a deep walnut wood finish, and the contrasting bases are constructed of contoured hand-forged flat iron in a raw steel finish. 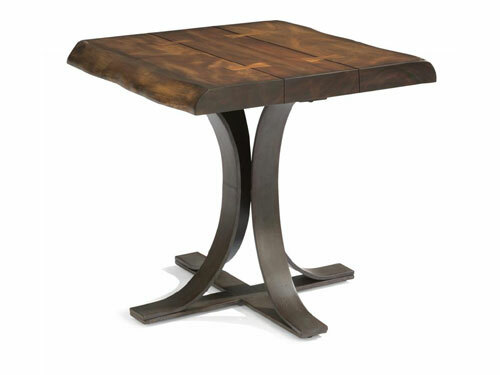 This lamp table fits nicely next to your favorite chair or recliner.